The Fleece Bib is not a bib you need for eating lobster, but if you guide or fish in chilly waters and need an under wader garment, then take a look at the Simms Guide Fleece Bib. It offers 4-way stretch fleece as the guide top & guide fleece pant. 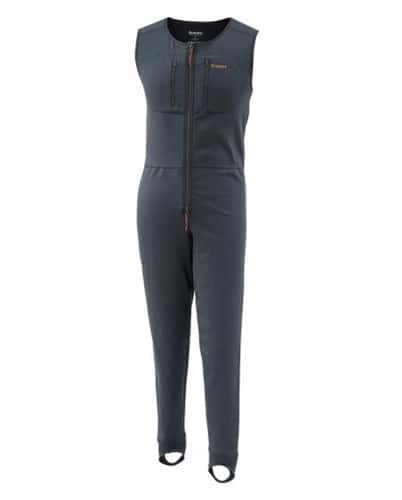 It offers 4-way stretch fleece as the guide top & guide fleece pant. The Guide Bib offers 4 way fleece for warmth, breathability, a smooth nylon exterior, lofty interior velour for warmth and a center front zipper. The 2 zippered chest pockets off excellent storage. Simms has really created a great under garment piece with the Guide Fleece Bib.